This article is about the Indian state of Punjab. For other uses of the name, see Punjab (disambiguation). /pʌnˈdʒɑːb/ Punjabi: ਪੰਜਾਬ) is a state in the northwest of the Republic of India, forming part of the larger Punjab region. The state is bordered by the Indian states of Himachal Pradesh to the east, Haryana to the south and southeast and Rajasthan to the southwest as well as the Pakistani province of Punjab to the west. It is also bounded to the north by Jammu and Kashmir. The state capital is located in Chandigarh, which is a Union Territory and also the capital of the neighbouring state of Haryana. Major cities of Punjab include Amritsar, Jalandhar, Ludhiana, Patiala, Tarn Taran Sahib, Nawanshahr, Firozpur, Bathinda,Hoshiarpur and Mohali. After the partition of India in 1947, the Punjab province of British India was divided between India and Pakistan. The Indian Punjab was divided in 1966 with the formation of the new states of Haryana and Himachal Pradesh, as well as the current state of Punjab. Punjab is the only state in India with a majority Sikh population. The Greeks referred to Punjab as Pentapotamia, an inland delta of five converging rivers. In Avesta, the sacred text of Zoroastrians, the Punjab region is associated with the ancient hapta həndu or Sapta Sindhu, the Land of Seven Rivers. Historically, the Punjab region has been the gateway to the Indian Subcontinent for people from Greece, Central Asia, Iran, and Afghanistan and vice versa. The word Punjab is from Sanskrit and Persian words panj (Sanskrit: पंच) and Āb (Persian: آب, (which itself derives from "āp" Sanskrit: अाप्) that means "five" and "water", respectively, thus PanjĀb means "Five Rivers", which roughly means "Land of Five Rivers". The five rivers are the Beas, Sutlej, Ravi, Chenab and Jehlum (also spelled Jhelum). Traditionally, in English, there used to be a definite article before the name, i.e. "The Punjab". The name is also sometimes spelled as "Panjab". Punjab during Mahabharata times was known as Panchanada. Indus Valley Civilization spanned much of the Punjab region with cities such as Harrapa (modern-day Punjab, Pakistan). The Vedic Civilization along the length of the Sarasvati River to cover most of Northern India including Punjab. This civilization shaped subsequent cultures in the Indian Subcontinent. Punjab was part of the great ancient empires including the Gandhara, Mahajanapadas, Nandas, Mauryas, Sungas, Kushans, Guptas, Palas, Gurjara-Pratiharas and Hindu Shahis. The farthest eastern extent of Alexander the Great's exploration was along the Indus River. Agriculture flourished and trading cities (such as Jalandhar and Ludhiana) grew in wealth. Due to its location, the Punjab region came under constant attack and influence from the west and east. Punjab faced invasions by the Persians, Greeks, Scythians, Turks, and Afghans. This resulted in the Punjab witnessing centuries of bitter bloodshed. Its legacy is a unique culture that combines Hindu, Buddhist, Persian/Zoroastrian, Central Asian, Islamic, Afghan, Sikh and British elements. Of particular importance were the periods of contact between Punjab and various Persian Empires when parts of it either became integrated with the empire itself or were an autonomous region which paid taxes to the Persian King. In later centuries, when Persian was the language of the Mughal government, Persian architecture, poetry, art and music were an integral part of the region's culture. The official language of Punjab remained Persian until the arrival of the British in the mid-19th century, where it was finally abolished and the administrative language was changed over to Urdu. The roots of Sikhism began at the time of the Conquest of Northern India by Babur. His grandson, Akbar, supported religious freedom and after visiting the langar of Guru Amar Das had a favorable impression of Sikhism. As a result of his visit he donated land to the langar and had a positive relationship with the Sikh Gurus until his death in 1605. His successor, Jahangir, saw the Sikhs as a political threat. He arrested Guru Arjun Dev because of Sikh support for Khusrau Mirza and ordered him to be put to death by torture. Guru Arjan Dev's Martyrdom led to the sixth Guru, Guru Har Gobind, declaring Sikh sovereignty in the creation of the Akal Takht and the establishment of a fort to defend Amritsar. Jahangir attempted to assert authority over the Sikhs by imprisoning Guru Har Gobind at Gwalior. He felt compelled to release him when he began to suffer premonitions of an early and gruesome death. The Guru refused to be released unless the dozens of Hindu princes imprisoned with him were also granted freedom, to which Jahangir agreed. Sikhism did not have any further issues with the Mughal Empire until the death of Jahangir in 1627. His successor, Shah Jahan "took offense" at Guru Har Gobind's sovereignty and after a series of assaults on Amritsar forced the Sikhs to retreat to the Sivalik Hills. Guru Har Gobind's successor, Guru Har Rai maintained the guruship in the Sivalik Hills by defeating local attempts to seize Sikh land and taking a neutral role in the power struggle between Aurangzeb and Dara Shikoh for control of the Timurid dynasty. The ninth Guru, Guru Tegh Bahadur, moved the Sikh community to Anandpur and traveled extensively to visit and preach in Sikh communities in defiance of Mughal rule. He aided Kashmiri Pandits in avoiding conversion to Islam and was arrested and confronted by Aurangzeb. When offered a choice between conversion or death, he chose to die rather than compromise his principles and was executed. Guru Gobind Singh assumed the guruship in 1675 and to avoid battles with Sivalik Hill Rajas moved the guruship to Paunta. He built a large fort to protect the city and garrisoned an army to protect it. The growing power of the Sikh community alarmed Sivalik Hill Rajas, who attempted to attack the city, but the Guru's forces routed them at the Battle of Bhangani. He moved on to Anandpur and established the Khalsa, a collective army of baptized Sikhs, on March 30, 1699. The establishment of the Khalsa united the Sikh community against various Mughal-backed claimants to the guruship. In 1701, a combined army composed of the Sivalik Hill Rajas and the Mughal army under Wazir Khan attacked Anandpur and, following a retreat by the Khalsa, were defeated by the Khalsa at the Battle of Mukstar. Banda Singh Bahadur was an ascetic who converted to Sikhism after meeting Guru Gobind Singh at Nanded. A short time before his death, Guru Gobind Singh ordered him to uproot Mugal rule in Punjab and gave him a letter that commanded all Sikhs to join him. After two years of gaining supporters, Banda Singh Bahadur initiated an agrarian uprising by breaking up the large estates of Zamindar families and distributing the land to the poor Sikh, Hindu,and Muslim peasants who farmed the land. Banda Singh Bahadur started his rebellion with the defeat of Mughal armies at Samana and Sadhaura and the rebellion culminated in the defeat of Sirhind. During the rebellion, Banda Singh Bahadur made a point of destroying the cities in which Mughals had been cruel to Sikhs, including executing Wazir Khan in revenge for the deaths of Guru Gobind Singh's sons, Baba Zorawar Singh and Baba Fateh Singh after the Sikh victory at Sirhind. He ruled the territory between the Sutlej river and the Yamuna river established a capital in the Himalayas at Lohgarh and struck coinage in the names of Guru Nanak and Guru Gobind Singh. After Maharaja Ranjit Singh's death in 1839, the empire was severely weakened by internal divisions and political mismanagement. This opportunity was used by the British Empire to launch the Anglo-Sikh Wars. A series of betrayals of the Sikhs by some prominent leaders in the army led to its downfall. Maharaja Gulab Singh and Raja Dhian Singh were the top Generals of the army. The Cis-Sutlej states (south of Sutlej), including Kaithal, Patiala, Jind, Thanesar, Maler Kotla, and Faridkot, were under the suzerainty of the Scindhia dynasty of the Maratha Empire, following the Second Anglo-Maratha War of 1803-1805, when Marathas lost this territory to the British. During the war, some of the states in the region gave their allegiance to British General Gerard Lake. At the conclusion of the Second Anglo-Maratha War, an 1809 agreement with Ranjit Singh, ruler of the Sikh Empire west of the Sutlej, brought these states under formal British protection. Ranjit Singh's death in the summer of 1839 brought political chaos, and the subsequent battles of succession and the bloody infighting between the factions at court weakened the state. By 1845 the British had moved 32,000 troops to the Sutlej frontier to secure their northernmost possessions against the succession struggles in the Punjab. In late 1845, British and Sikh troops engaged near Ferozepur, beginning the First Anglo-Sikh War. The war ended the following year, and the territory between the Sutlej and the Beas was ceded to British Company rule in India, along with Kashmir, which was sold to Gulab Singh of Jammu, who ruled Kashmir as a British vassal. After years of protest by Akali Dal and other Sikh organizations finally Punjab was divided along linguistic basis in 1966. On 1 November 1966, the Hindi-speaking southern half of Punjab became a separate state, Haryana, and the Pahari speaking hilly areas in north east were given to Himachal Pradesh. Chandigarh was on the border between the two states and became a separate union territory but serves as the capital of both Punjab and Haryana. During the 1970s, the Green Revolution brought increased economic prosperity for the Punjab, mainly due to the late Pratap Singh Kairon. However, a growing polarisation between the Indian National Congress central government and the main Sikh political party, the Shiromani Akali Dal, developed during the 1970s. Hostility and bitterness arose from what was widely seen by the Akali Dal as increasing alienation, centralization and discriminatory attitudes towards Punjab by the Government of India. This prompted the Shiromani Akali Dal to pass the Anandpur Sahib Resolution, which asked for granting maximum autonomy to the region of Punjab and other states and limited role and powers of the Central Government. Punjab's climate is characterized by extreme hot and extreme cold conditions. Annual temperatures in Punjab range from 2 to 40°C (min/max), but can reach 47°C (117°F) in summer and 0°C in winter. The northeast area lying near the foothills of the Himalayas receives heavy rainfall, whereas the area lying further south and west receives less rainfall and experiences higher temperatures. Average annual rainfall ranges between 960 mm in the submountain region and 460 mm in the plains. There are no natural forests in the plains; extensive tracts occur covered only with grass, shrubs and bushes. The mango fruit is largely cultivated in the southeast of the Punjab and attains a high degree of perfection about Multan and Hoshiarpur. Cultivated fruit trees, such as orange, pomegranate, apple, peach, fig, mulberry, quince, apricot, almond, and plum are abundant in the region. 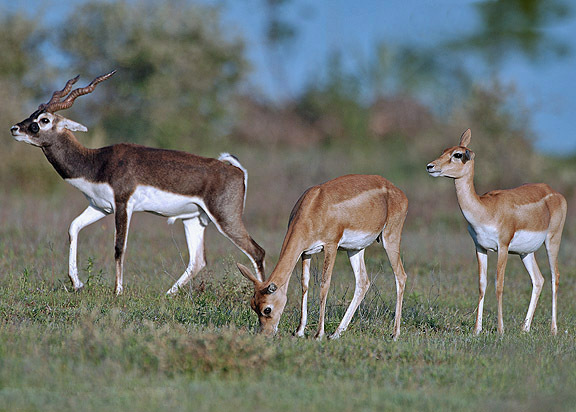 The Shivalik area is the richest area of Punjab in terms of floral and faunal diversity, and has been identified as one of the micro-endemic zones of India. Amongst the angiosperms, about 355 species of herbs, 70 tree species, 70 species of shrubs or under shrubs, 19 of climbers and 21 species of twiners have been recorded from the area. Apart from angiosperms, 31 species of pteridophytes, 27 of bryophytes and one species of gymnosperms (Pinus roxburghii) have also been recorded. The area is also rich in faunal diversity, including 396 species of birds, 214 species of Lepidoptera, 55 species of fish, 20 species of reptiles, and 19 species of mammals. here are a number of wetlands, bird sanctuaries and zoological parks across Punjab. These include the Hari-Ke-Pattan National Wetland and Wildlife Sanctuary at Harike in Tarn Taran Sahib District, the Kanjli Wetland, the Kapurthala Sutlej Water Body Wetland, the Ropar Zoological Park, Chhatbir, Bansar Garden, Sangrur, the Aam Khas Bagh, Sirhind, the Ram Bagh Garden Amritsar, the Shalimar Garden, Kapurthala and the Baradari Garden at Patiala. Malwa is a region of Punjab south to river satluj. The Malwa area makes up majority of the Punjab region consisting 11 districts. Cities such as Ludhiana, Patiala, Sangrur, Barnala, Bhatinda, Firozpur, Rajpura, Moga and Mohali are located in the Malwa region. Malwa is also famous for cotton farming. Majha is a historical region of the Indian Punjab comprising the modern districts of Amritsar, Pathankot, Gurdaspur and Tarn Taran. It lies between rivers Ravi, Beas and the Sutlej. This region is called the heartland of Punjab and is celebrated as being the 'Cradle of Sikhism'. Doaba is the region of Indian Punjab between the rivers Beas and Sutlej. The name "Doaba" literally translates to "land between two rivers" ("Do" two, "Ab" river; Punjabi). It is one of the most fertile regions of the world and was the centre of the Green Revolution in India. To this day, it remains one of the largest per capita producers of wheat in the world. The cities in Doaba are Jalandhar, Hoshiarpur, Nawanshahr and Kapurthala. The state capital of Punjab is Chandigarh. There are 22 cities and 157 towns in Punjab. The major cities in Punjab are Ludhiana, Moga, Jalandhar, Nawanshahr, Amritsar, Patiala, Mohali, Bathinda. According to India Today, a leading magazine in India, Punjab was recognized as the best overall state since 2003 and has been able to retain the top position every year. It affords the best quality of life to its residents. According to the India State Hunger Index, Punjab has the lowest level of hunger in India. Punjab has the best infrastructure in all of India. Although it has a huge shortage of electricity due to high demand, all major cities in Punjab benefit from this and have some of the lowest tariffs in India. All of Punjab's villages have been provided electricity and have been connected to the state electrical power grid since 1974. Punjab is one of the most fertile regions on earth. The region is ideal for wheat-growing. Rice, sugar cane, fruits and vegetables are also grown. Indian Punjab is called the "Granary of India" or "India's bread-basket". It produces 10.26% of India's cotton, 19.5% of India's wheat, and 11% of India's rice. The Fazilka and Ferozpur Districts are the largest producers of wheat and rice in the state. In worldwide terms, Indian Punjab produces 2% of the world's cotton, 2% of its wheat and 1% of its rice. The largest cultivated crop is wheat. Other important crops are rice, cotton, sugarcane, pearl millet, maize, barley and fruit. Rice and wheat are doublecropped in Punjab with rice stalks being burned off over millions of acres prior to the planting of wheat. This widespread practice is polluting and wasteful. In Punjab the consumption of fertiliser per hectare is 223.46 kg as compared to 90 kg nationally. The state has been awarded the National Productivity Award for agriculture extension services for ten years from 1991–92 to 1998–99 and from 2001 to 2003–04. In recent years a drop in productivity has been observed mainly due to falling fertility of the soil. This is believed to be due to excessive use of fertilizers and pesticides over the years. Another worry is the rapidly falling water table on which almost 90% of the agriculture depends; alarming drops have been witnessed in recent years. By some estimates, groundwater is falling by a meter or more per year. All the cities and towns of Punjab are connected with four-lane roads National Highway. The Grand Trunk Road also called as NH1 connects Calcutta to Peshawar passing through Jalandhar and Amritsar. Another major national highway connects Punjab to Jammu passing through Hoshiarpur and Pathankot. The state road conditions are the finest in India. The national highways passing through the state are ranked the best in the country with widespread road networks that serve isolated towns as well as the border region. Sikhism is the predominant faith in Punjab followed by 61% of the populace. The holiest of Sikh shrines, the Sri Harmandir Sahib (or Golden Temple), is in the city of Amritsar. The Sri Akal Takht Sahib, which is within the Golden Temple complex, is the temporal seat of Sikhs. Of the five Takhts (Temporal Seats of religious authority) of Sikhism, three are in Punjab. These are Sri Akal Takht Sahib, Damdama Sahib and Anandpur Sahib. During major holidays on the Sikh calendar (such as Vaisakhi, Hola Mohalla, Gurpurb and Diwali), many Sikhs gather and march in religious processions through virtually every city, town and village. At least one Sikh Gurdwara can be found in almost every village in the state, as well as in the towns and cities (in various architectural styles and sizes). Hinduism is the second most practised faith in Punjab forming 37 per cent of the population. A large segment of Punjabis who are categorized as Punjabi Hindus continue heterogeneous religious practices with spiritual kinship with Sikhism. This not only includes veneration of the Sikh Gurus in private practice but also visits to Sikh Gurdwaras along with Hindu temples. Other religions such as Islam (1.57%) and Christianity (1.20%) are also followed alongside Buddhism (0.17%) and Jainism (0.16%). The Punjabi language, written in the Gurmukhi script, is the official language of the state. The language is popular across India and the wider world due to the large-scale migration of Punjabis and the rich Punjabi music. Punjabi has always been an integral part of Indian Bollywood cinema due to large numbers of Punjabis working in Bollywood. In recent years a trend of Bollywood songs written totally in Punjabi can be observed. Punjabi is also the most widely spoken language in Pakistan and is the provincial language of Punjab (Pakistan), the second largest and the most populous province of Pakistan. It is also the second official language in the Indian states of Haryana, Himachal Pradesh, and the National capital of Delhi. Punjabi is the most spoken immigrant language in England and the fourth most spoken language in Canada according to official census. Punjabi is the 10th most spoken language in the world and 4th most spoken language in Asia. The major dialects of Punjabi spoken in Indian Punjab are Majhi, Malwi, Pwadhi and Doabi. Punjab is served by several institutions of higher education, which provide undergraduate and postgraduate courses in all the major arts, humanities, science, engineering, law, medicine, veterinary science, and business. Punjab Agricultural University is a leading institution globally for the study of agriculture and played a significant role in Punjab's Green Revolution in the 1960s–70s. Alumni of the Panjab University, Chandigarh include Manmohan Singh, the current Prime Minister of India, and Dr. Har Gobind Khorana, a biochemistry nobel laureate. One of the oldest institutions of medical education is the Christian Medical College, Ludhiana, which has existed since 1894. The culture of Punjab comprises many elements including music such as bhangra, an extensive religious and non-religious dance tradition, a long history of poetry in the Punjabi language, a significant film industry which dates back to before Partition, a vast range of cuisine which has become widely popular abroad, and a number of seasonal and harvest festivals such as Lohri, Basant, Baisakhi and Teej, all of which are celebrated in addition to the religious festivals of India. Bhangra (Punjabi: ਭੰਗੜਾ (Gurmukhi)</span>,; pronounced [pɑ̀ŋɡɾɑ̀ː]) is a form of dance and music that originated in the Punjab region. Bhangra dance began as a folk dance conducted by Punjabi farmers to celebrate the coming of the harvest season. The specific moves of Bhangra reflect the manner in which villagers farmed their land. This hybrid dance became Bhangra. The folk dance has been popularised in the western world by Punjabis in England and the USA where competitions are held. It is seen in the West as an expression of South Asian culture as a whole. Today, Bhangra dance survives in different forms and styles all over the globe – including pop music, film soundtracks, collegiate competitions and cultural shows. Tourism in Indian Punjab centres around the historic palaces, battle sites, and the great Sikh architecture of the state and the surrounding region. Examples include various sites of the Indus Valley Civilization, the ancient fort of Bathinda, the architectural monuments of Kapurthala, Patiala, and Chandigarh, the modern capital designed by Le Corbusier. The Golden Temple in Amritsar is one of the major tourist destinations of Punjab and indeed India, attracting more visitors than the Taj Mahal, Lonely Planet Bluelist 2008 has voted the Harmandir Sahib as one of the world’s best spiritual sites. Moreover, there is a rapidly expanding array of international hotels in the holy city that can be booked for overnight stays. ^ "Punjab". Overseas Indian Facilitation Centre. http://m.oifc.in/Our-Partners/State-Partners/Punjab. Retrieved 8 september 2011. ^ Singh, Pritam (2008). Federalism, Nationalism and Development: India and the Punjab Economy. London; New York: Routledge. p. 3. ISBN 0-415-45666-5. http://books.google.com/books?id=mQLDcjhNoJwC&printsec=frontcover. ^ "How to obtain a police certificate – India". Cic.gc.ca. 2009-11-09. http://www.cic.gc.ca/english/information/security/police-cert/asia-pacific/india.asp. Retrieved 2010-07-18. ^ Bombay (India : State) (1896). Gazetteer of the Bombay Presidency .... Printed at the Government Central Press. http://books.google.com/books?id=0bkMAAAAIAAJ. Retrieved 18 January 2012. ^ a b A Comprehensive History of Medieval India: From Twelfth to the Mid ... - Fname="ReferenceC">http://books.google.co.in/books?id=Nyk6oA2nOlgC&pg=PA379&lpg=PA379&dq=%22second+anglo+maratha+war%22+sutlej&source=bl&ots=XGHcTeQC7h&sig=tGnkkkS6o63cT5mX-pIv7R9PtsQ&hl=en&sa=X&ei=DmvDT-HOKcHWrQfj2LjhCQ&ved=0CFYQ6AEwBw#v=onepage&q=%22second%20anglo%20maratha%20war%22%20sutlej&f=false. http://books.google.co.in/books?id=sxhAtCflwOMC&pg=PA334&lpg=PA334&dq=daulatrao+scindia+punjab&source=bl&ots=UHK_WUGdoH&sig=CV3YuivuM4b0R-mR8KQUTa1d_hU&hl=en&sa=X&ei=0J3AT6H1H8vqrQeP2LDFCQ&ved=0CE4Q6AEwBTgK#v=onepage&q=daulatrao%20scindia%20punjab&f=false. ^ "Ranjit Singh: A Secular Sikh Sovereign by K.S. Duggal. ''(Date:1989. ISBN 81-7017-244-6'')". Exoticindiaart.com. 2009-02-01. http://www.exoticindiaart.com/book/details/IDE822/. Retrieved 2009-08-09. ^ "MAHARAJAH RANJIT SINGH ... – Online Information article about MAHARAJA RANJIT SINGH". Encyclopedia.jrank.org. http://encyclopedia.jrank.org/PYR_RAY/RANJIT_SINGH_MAHARAJA_178o_1839.html. Retrieved 2009-08-09. ^ History Of The Marathas - R.S. Chaurasia - Google Books. Books.google.co.in. http://books.google.co.in/books?id=D_v3Y7hns8QC&pg=PA13&lpg=PA13&dq=mahadji+sindhia+punjab&source=bl&ots=Kdt4ycmwu_&sig=A4SMoH7_sJahnYm5QrdIARtprBQ&hl=en&sa=X&ei=Cp7AT5CFGpDIrQfppqS5CQ&ved=0CE8Q6AEwAg#v=onepage&q=mahadji%20sindhia%20punjab&f=false. Retrieved 2012-05-26. ^ Tan, Tai Yong; Kudaisya, Gyanesh (2002). The Aftermath of Partition in South Asia. Psychology Press. p. 100. http://books.google.com/books?id=O5zEtBxk72wC&pg=PA100. ^ a b c "State Profile – About Punjab". Punjabgovt.nic.in. http://punjabgovt.gov.in/StateProfile.aspx. Retrieved 2010-07-18. ^ Pragati Infosoft Pvt. Ltd.. "Punjab Geography, Geography of Punjab, Punjab Location, Punjab Climate". Punjabonline.in. http://punjabonline.in/Profile/Geography/. Retrieved 2010-07-18. ^ a b "Climate And Resources In Punjab". Sadapunjab.com. http://www.sadapunjab.com/cv/Literature_On_Punjab/PUNJAB/Climate_And_Resources_In_Punjab/index0.html. Retrieved 2010-07-18. ^ "Indian States : Punjab :: Flora And Fauna". India Travel Information. http://www.india-travel-information.com/india-information/Indian-States/Punjab/333-Flora-And-Fauna.html. Retrieved 2010-07-18. ^ "Panjab Tourism, General Information". http://www.punjabtourism.in/geninfo.html. Retrieved 2010-11-09. ^ "Jurisdiction and Seats of Indian High Courts". Eastern Book Company. http://www.ebc-india.com/lawyer/hcourts.htm. Retrieved 2008-05-12. ^ Arvind Chhabra (2009-09-18). "Punjab: Progressive by nature: India Today". Indiatoday.intoday.in. http://indiatoday.intoday.in/site/Story/62342/Cover%20Story/Punjab:+Progressive+by+nature.html. Retrieved 2010-07-18. ^ "India fares badly on global hunger index". Times of India. 2008-10-15. http://timesofindia.indiatimes.com/India/India_fares_badly_on_global_hunger_index/rssarticleshow/3596818.cms. ^ "Fields on fire: making farming more sustainable in India – in pictures". The Guardian. December 7, 2012. http://www.guardian.co.uk/global-development/gallery/2012/dec/07/farming-sustainable-india-in-pictures. Retrieved December 9, 2012. ^ J. Carl Ganter. "Q&A: Upmanu Lall on India’s Nexus of Energy, Food and Water". Circle of Blue. http://www.circleofblue.org/waternews/2010/world/qa-upmanu-lall-gives-insight-to-indias-nexus-of-energy-food-and-water/. Retrieved 2010-06-04. ^ Upmanu Lall. "Punjab: A tale of prosperity and decline". Columbia Water Center. http://blogs.ei.columbia.edu/2009/07/28/punjab-a-tale-of-prosperity-and-decline/. Retrieved 2009-09-11. ^ "Demographic Trends". Census of India. www.punenvis.nic.in. http://www.punenvis.nic.in/demo_trends.htm. Retrieved 2008-06-04. ^ "Punjab Population Data at a Glance-2011". Census India. April 15, 2011. http://www.censusindia.gov.in/2011-prov-results/data_files/punjab/Provisional%20Populatin%20Result%20Punjab1.pdf. Retrieved June 24, 2011. ^ Census of India, 2001: population of Punjab by religion. Censusindia.gov.in. Retrieved on 2012-01-18. ^ "Punjabi is 4th most spoken language in Canada – Times Of India". The Times Of India. http://timesofindia.indiatimes.com/Punjabi_is_Canadas_4th_most_top_language/articleshow/2782138.cms. ^ "Harvest Festival of Punjab, Harvest Festival Lohri, Cultural Festival of India, Harvest Festival in India". Lohrifestival.org. http://www.lohrifestival.org/harvest-festival-of-punjab.html. Retrieved 2010-07-18. ^ Mir, Farina. "Representations of Piety and Community in Late-nineteenth-century Punjabi Qisse". Columbia University. http://www.unc.edu/depts/cdeisi/abstracts.html. Retrieved 2008-07-04. ^ Pakistan almanac, Volumes 2001–2002. Royal Book Company. http://books.google.com/books?id=rRYZAQAAIAAJ&q=bhangra+pakistan&dq=bhangra+pakistan&lr=&cd=1. Retrieved 2007-11-03. "Bhangra refers to both a traditional dance and a form of music invented in the 1980s. Bhangra, the punjabi folk dance that has become popular all over the world. Panjabi folk songs have been integral part of fertile provinces"
^ Social control and deviance: a South Asian community in Scotland. Ashgate. http://books.google.com/books?id=sMnZAAAAMAAJ&q=bhangra+pakistan&dq=bhangra+pakistan&lr=&cd=12. Retrieved 2007-11-03. "The whole institution of the Bhangra and its related processes are clearly an expression of Indian/Pakistan culture in a Western setting." This page uses content from the English language Wikipedia. The original content was at Punjab, India. The list of authors can be seen in the page history. As with this Familypedia wiki, the content of Wikipedia is available under the Creative Commons License.